In our success-driven culture the topic of dying congregations is taboo, yet that is a reality many pastors and congregations struggle through with little guidance for discernment. In The Role of the Minister in a Dying Congregation Jenkins provides a courageous and responsible resource on one of the most critical issues in congregational life: how to help a congregation conclude its ministry life cycle with dignity and meaning. To download a PDF of the charts from the Appendix, click below. For the Congregational Assessment chart, click here. For the Leadership Assessment chart, click here. For the Ministries Assessment chart, click here. For the Physical Plant Assessment chart, click here. For one PDF with all the charts, click here. Lynwood B. (Woody) Jenkins is the pastor of Elk Creek Baptist Church, a small country church situated in a resort community in central Virginia. Woody previously served as pastor of the small, urban Richmond church that was the genesis for this book. After more than twenty years in secular, non-profit work, Woody entered seminary, earning Master of Divinity and a Doctor of Ministry degrees from Baptist Theological Seminary at Richmond. An active layperson throughout his life, Woody has served in leadership capacities in local Church of the Brethren, United Church of Christ, Presbyterian Church (U.S.A.), and Baptist congregations. Woody and his wife, Penny, share four grown children. 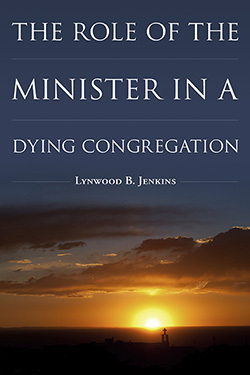 Through case studies, interviews, research, and a refreshingly honest testimonial of his own personal journey Jenkins offers ministers wisdom, insights and tools for leading congregations during one of their most critical tasks, dying well. 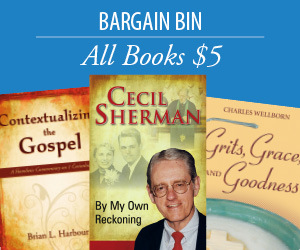 This is a resource for every pastor's library.